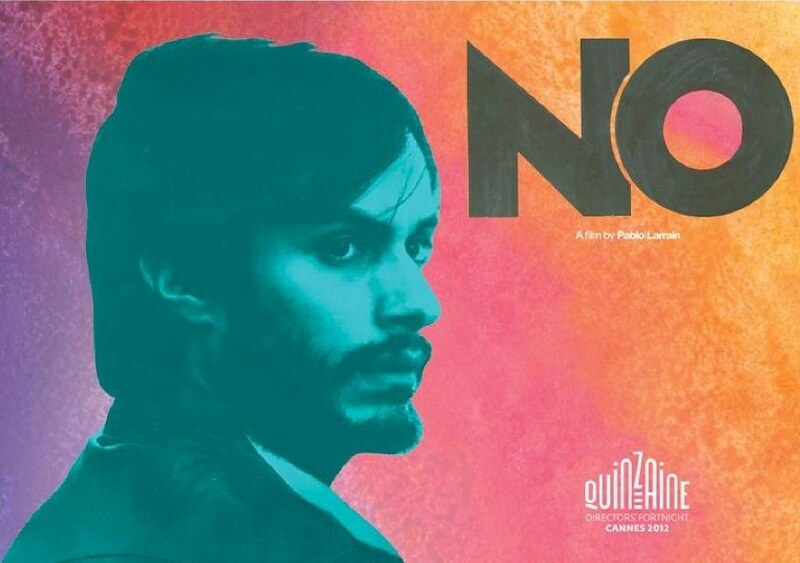 Gael Garcia Bernal stars in Chilean director Pablo Larrain’s film about Pinochet’s one-man presidential election.. Some history: On October 5, 1988 Chilean voters were asked to cast ballots marked either “si” or “no” to extend Pinochet’s presidency for another eight years. It was the third time the regime had held a plebiscite, with the first held in 1978 to support Pinochet following a United Nations resolution condemning human rights violations in Chile, and the second in 1980 to approve a new, authoritarian constitution and to extend Pinochet’s rule for another eight years. These plebiscites, held without voter registries, inevitably showed a majority of “yes” votes. http://www.youtube.com/watch?v=moKI_NTqSg0 and also showed an anonymous voter marking the “no” box of a paper ballot. The last broadcast included messages from Chilean and foreign celebrities, including novelist Isabel Allende, Jane Fonda and the late Christopher Reeve. Foreigners with at least five years’ residency in the country were also allowed to vote in the plebiscite, and this blogger duly registered and cast a ballot at a polling site held at a girls’ school in eastern Santiago. That night, after covering the celebratory cheers at the Comando del No headquarters, I caught a cab whose driver I strongly suspect was working for the regime’s intelligence service. He was young, had a military-style haircut and told me he was “one of those who lost tonight.” I asked him if his route had taken him around much of Santiago that evening, and whether the streets were calm. He conceded they were. Is Roberto Bolaño, Chile’s acclaimed novelist, really dead? The online literary magazine The Millions has an essay http://www.themillions.com/2012/05/bolanos-last-great-secret.html on the writer which makes you wonder. 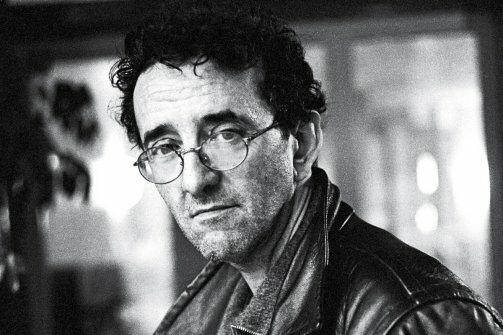 Bolaño is said to have passed away in 2003, and since then the New Yorker has published nine of his short stories and his English language publisher, New Directions http://ndbooks.com/author/roberto-bolano, has published fifteen volumes of his fiction, essays and poetry. His literary executors keep unearthing more of his work, with The Secret of Evil, a collection of stories-which-read-like-essays and essays-which-read-like-fiction, appearing earlier this year. In the prologue Bolaño’s executor writes that there are “multiple indications that Bolaño was working on this file in the months immediately preceding his death.” There have also been multiple accounts of the cause of the writer’s death: liver failure, heroin use and the stress of finishing his 900-page novel, 2666. But his widow (or estranged wife) told the New York Times http://www.nytimes.com/2009/01/28/books/28bola.html?_r=1 that he had never used heroin while several other friends and acquaintances interviewed in the same article said Bolaño had not been in Chile during the 1973 military coup, which would make his account of being arrested, narrowly avoiding torture and escaping thanks to two guards who just happened to be friends from high school an elaborate fiction. Outside the Punta Peuco prison, built to hold the Pinochet regime’s human rights abusers. 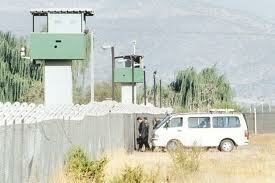 The Punta Peuco prison lies on the outskirts of Santiago and is not your typical Latin American jail. When it opened its doors in 1995 it held just one inmate: former army colonel Pedro Espinoza, one of three Pinochet regime officials the United States wanted extradited for the 1976 car bomb assassination of Chilean exile Orlando Letelier in Washington, D.C. The prison was built specifically to hold human rights offenders, and at present there are 49 inmates serving sentences there. Some high profile prisoners, such as former secret police director Manuel Contreras and former agent Miguel Krassnoff, have been moved to a separate facility, the Penal Cordillera, which is run by the Chilean army. The Centro de Investigacion Periodistica, CIPER (www.ciper.cl) recently published a four-part series on the Punta Peuco prison’s inmates. The first article http://ciperchile.cl/2012/04/18/punta-peuco-i-la-fallida-operacion-de-inteligencia-de-alvaro-corbalan/ reported on the extraordinary activities of Alvaro Corbalán, former operations chief of the Central Nacional de Informaciones (CNI), the Pinochet regime’s secret police. He is serving a life sentence for the 1983 murder of a carpenter, whose body was then arranged to look like a suicide, with a forged note claiming he was the killer of a trade unionist murdered the previous year. Other crimes include the murder of a young leftist in 1985 and the killing of a Chilean journalist in wake of an assassination attempt against Pinochet in 1986. Corbalán is perhaps best known for organizing a political party, the Avanzada Nacional, to campaign for Pinochet’s re-election in a one-man presidential plebiscite in 1988. But incarceration has not diminished his interest in political intrigue. Guards at the prison confiscated a 10-page memorandum he was writing to Chilean president Sebastián Piñera, offering to collaborate with his government and help prevent a future electoral victory by the center-left coalition which narrowly lost the 2009 presidential election. He suggested posting a certain sympathetic prison guard in the Chilean Interior Ministry, who could then act as liaison for any future operations. Corbalán also indicated a certain rightwing member of the Chilean Senate might act as a courier for further communications. The reaction to this first CIPER report was understandable outrage. The Chilean Congress’s human rights commission announced it would call Corbalán’s prison sympathizers to a hearing, while President Piñera made a point of visiting Santiago’s Museo de la Memoria http://www.museodelamemoria.cl/, a historical museum documenting crimes committed during the Pinochet years. The second article http://ciperchile.cl/2012/04/19/punta-peuco-ii-los-cachureos-del-guaton-romo/ recounts the double life of Osvaldo Romo, a one-time militant leftist who joined the regime’s security forces shortly after the 1973 coup. The exact circumstances are a little murky, but it appears that Romo switched sides voluntarily and became one of the most notorious human rights violators of that period, often arranging the arrests and torture of former colleagues. Romo later fled to Brazil, but was extradited in 1992 and died at the Punto Peuco prison in 2007. The third article http://ciperchile.cl/2012/04/24/punta-peuco-iii-el-otro-muro-que-divide-a-militares-y-carabineros/ details the divisions between ex-army officers and officials from Chile’s carabinero police within the prison, and comments from one of the few former regime security agents who has publicly acknowledged wrongdoing. The final article http://ciperchile.cl/2012/05/02/punta-peuco-iv-las-historias-no-contadas-de-familiares-y-presos/ describes how families of the prisoners cope, with many insisting their husbands and fathers are political prisoners who committed no crimes and others bearing a burden of shame.